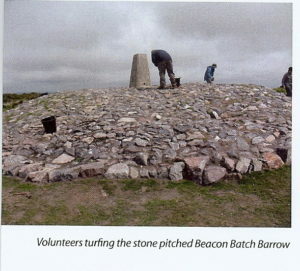 Volunteers turfing the newly stone-pitched Beacon Batch Barrow. 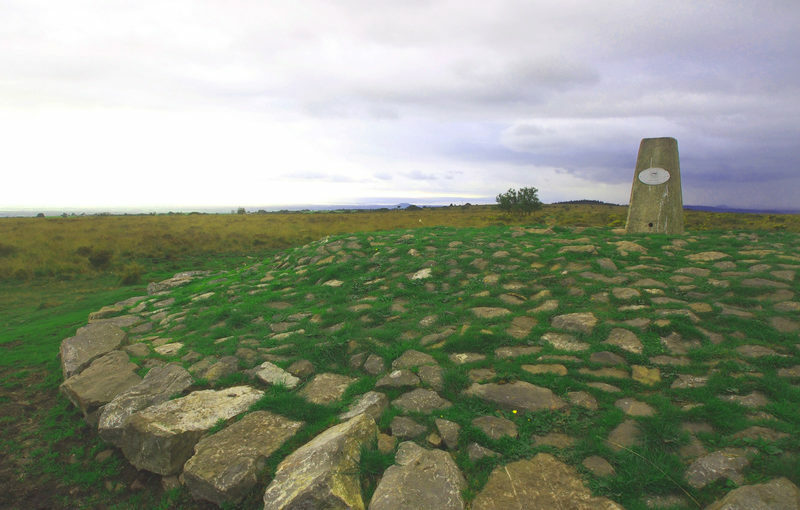 The project area included an extensive Scheduled Monument containing archaeological features dating from the Bronze Age to the Second World War. The majority of the area is also designated SSSI and is managed under Higher Level Stewardship (HLS). High levels of recreation and changing land cover (particularly increased bracken) were causing extensive damage to archaeological features, so it was necessary to find an acceptable balance between archaeological, recreation and conservation interests. 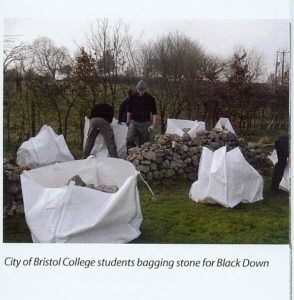 City of Bristol College students bagging stone for pitching on Black Down. A condition assessment of the archaeology was undertaken by ULAS and a number of management recommendations were made. Some of these recommendations (such as stone-pitching the eroded ground around a trig point, thereby protecting the underlying Bronze-Age barrow from further damage) have already been carried out as special projects under HLS with involvement from local community volunteers. Bracken clearance of the most sensitive features is also being carried out under HLS. Other recommendations, such as the provision of interpretation panels and the re-routing of footpaths have been incorporated into a successful Heritage Lottery Fund bid.